[Abstract] Here, we describe a protocol for a continuous flow system for C. albicans cultures growing adherent to a plastic surface. The protocol was adapted from a previous method established to simulate blood flow on endothelial cells (Wilson and Hube, 2010). 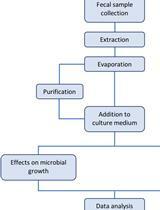 The adapted protocol was used by us for the removal of molecules in C. albicans supernatants, especially farnesol, which accumulate over the time course of incubation and cannot be specifically depleted. The system used, however, allows various applications including the simulation of physiological flow conditions. Several example applications are given on the manufacturer’s website (https://ibidi.com/perfusion-system/112-ibidi-pump-system.html ... [摘要] 在这里，我们描述了用于连续流系统的协议。 白色念珠菌生长粘附在塑料表面上的培养物。 该方案根据建立以模拟内皮细胞上的血液流动的先前方法改编（Wilson和Hube，2010）。 我们使用适应方案去除C中的分子。 白色念珠菌上清液，特别是法呢醇，其在孵育的时间过程中积累并且不能被特异性地耗尽。 然而，所使用的系统允许各种应用，包括模拟生理流动条件。 制造商网站上给出了几个示例应用程序(https://ibidi.com/perfusion-system/112-ibidi-pump-system.html).